Collectively known as microbes the formation of the yeast, mould and bacteria is what we commonly know as “the Bug”. Once diesel bug is in your narrowboat tank it lives in the water formed by the condensation at the bottom of the tank. When the bug dies in 48 hours or so it will leave a sticky waxy substance behind. Diesel Bug… What Is It? Microbes are single cell organisms, millions of which can fit into the eye of a needle. In fact there are more on your hand than there are people on the planet! They are naturally present in the food we eat, the air we breath and the ground we walk on. They naturally occur in fuel stock and can also be introduced from the air. These microbes feed on water and other nutrients present in the fuel stock. It is “blooming” or massive uncontrolled growth of these organisms can can cause the formation of sluges, slime and the associated blockages in our narrow boat fuel systems. Water presence in diesel is a major contributor to Diesel Bug. Biodiesel is bad news due to its natural susceptibility to water contamination, but normal petro-diesel is also vulnerable. Water is heavier than diesel so condensation that forms in the tank will settle to the bottom. It is at this interface of water and fuel that microbial activity can occur. Waste is formed as a result of this microbial reproduction and as they die they form into black, sludgy clumps. Algae and fungus can grow on these dead clumps of microbial waste and the result soon multiplies into what is known as a biomass. 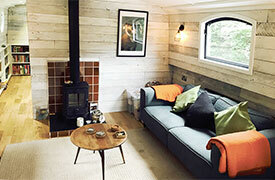 The biomass can either be suspended in the fuel or settle to the bottom of the narrow boat tank. Either way as soon as it gets into the fuel delivery system it will cause major issues with filter, pump and injector blockages. As soon as the level of dead microbes reaches the fuel pick-up pipe in the tank and they start to flow into the fuel delivery system, you will have problems. Diesel, whether FAME or petro-diesel, will deteriorate over time. In fact a major oil producer recommends a shelf life for standard petro-diesel as only 12 months. Oxidation is a natural chemical reaction involving a substances reaction with oxygen. Resultant sediments will form in the narrowboat fuel tank and not be able to pass through filters , eventually causing blockages and problems. Rust will form on the inside walls of a steel fuel tank. 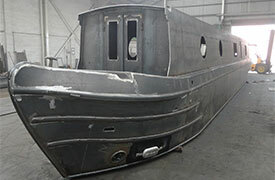 As most tanks on narrow boats form part of the structure of the stern, they are constructed of mild steel. This rust, or iron oxide, will settle in the bottom of the tank, become dispersed during filling and motion and will eventually cause blockages to filters and delicate fuel injectors. Diesel Bug… Removing, Curing & Eliminating! Typical Symptoms of Diesel Bug on Narrowboats? How does Diesel Bug Form on Narrowboats? Contamination from the ‘diesel bug’ has become a more recent problem due to reduction of sulphur (which inhibited the growth of microbes) from diesel combined with the increased quantity of bio-fuel contained in standard diesel products. Diesel bug spores are all around us. They are very common in the normal atmosphere. There is not just one sort of ‘bug’ in fact, bacteria, fungi and even algae may all play a part. The spores enter fuel tanks every time the filler cap is removed. Each spore has the capacity to reproduce 260,000 times every 6 hours! Like all living things they rely on water to survive and therefore to reproduce – clean, new diesel should have a very low water content and is unattractive to these spores. Simply put “diesel bug” needs water to survive and grow. The bugs don’t live very long and when they die they leave waxy contamination in your tank. So then you have two problems – water and dead diesel bugs both of which are be bad for your engine. Why Does My Narrow Boat Have Water Present in the Diesel Tank? A diesel tank which isn’t full has air content, this air content contains water vapour which condenses to form water droplets on the side of the tank. These droplets fall into the diesel fuel and sink as water is heavier than diesel. Over time this water builds up. Other factors can contribute to water entering in to the diesel tank such as poor seals on the filler cap which can lead to rain water entering the diesel tank through capillary reaction. The only way to remove diesel bug from a narrowboat is to have the diesel tank professionally ‘Polished’. 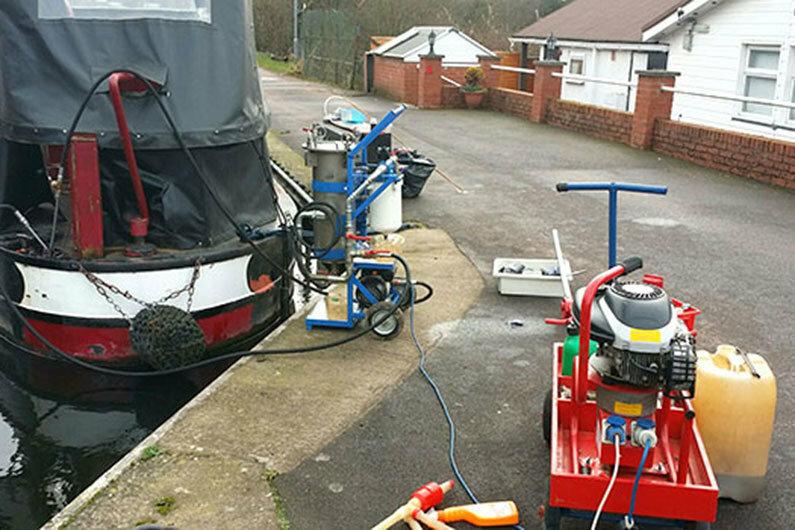 Narrowboat fuel polishing is a service offered by companies owning industrial scale decontamination filters. Fast throughput equipment is used to remove contaminants including particles and water content. Often post polishing an inhibitor is dosed into the narrowboat fuel tank to help prevent future build-ups. Are All Fuel Polishing Systems The Same? The short answer is no. Some systems filter large quantities of fuel very quickly, some will filter small quantities rather more slowly. Not only is there a difference in speed but much more importantly there is a significant variation in the quality of the cleaned fuel. So How Do We Know If Fuel Is Adequately Cleaned? There are two main measures of the contamination of fuel – particle size and water content. Fuel that has been “polished” and still contains particles greater in size than about 10 microns still presents a significant risk to your equipment in terms of increased wear and tear. Even if the free water (the water you can see) has been removed from the fuel there is still water suspended in the fuel itself. This water is still available to the bacteria that can grow in your tank so it is important to remove as much of this water as possible. This level of water is measured in parts per million (ppm). Contaminated fuel is pushed through filters using a pump – a finer filter is harder to force contaminated fuel through so often higher quality results take longer to achieve. The other factor is the pressure that the pump can generate. A higher pressure will result in more rapid filtration. So high speed and high quality filtration requires high pressure and a fine filter. When dealing with very large volumes of fuel, powerful equipment is called for. For smaller applications which are less time critical, less power is required, however, in both cases the filter size is critical in determining the quality of the end result. The Fit Out Pontoon would like to thank Tankbusters and Bruce in particular who kindly provided the foundation for this topic. Tankbusters provide a wide range of fuel polishing equipment for large and small applications. Their systems filter out particles to a size below 3 microns and commonly the water content in the filtered fuel is lower than that specified by fuel refineries (200ppm / parts per million) often well below 100ppm. With water levels this low the diesel bug has a vastly reduced ability to reproduce… Fuel Cleaning At Its Best! Diesel Bug… How To Avoid The Bug! By far and away the best way of preventing bad fuel reaching the delicate fuel system components on your narrowboat is to fit an in-line decontamination filter. Fitted between the tank and the fuel lift pump, a decontamination filter uses a simple reusable lifetime filter. The simple filter element is stuffed with high technology to ensure both water and undesirable particles that have formed in the diesel fuel tank never reach the fuel delivery system. Decontamination filters will not remove diesel bug from narrow boat fuel tanks, only prevent the contamination from reaching the engine. Kits are available to modify a decontamination filter to return cleaned fuel to the tank rather than deliver it to the engine. In this case, over a period of time, a decontamination filter can be used to “polish” or completely clean diesel in the fuel tank. Regular filter changes will keep most debris away from your fuel pump and injectors. When changing diesel fuel filters, look for discolouration, clouding or gelling. Keeping the narrow boat fuel tank topped up reduces oxidation by limiting exposure of fuel to air. If fitted, regularly drain your water trap. Keep on top of oil and filter changes as the mix of oil and un-burnt diesel fuel in your engine becomes highly corrosive to engine components. Blockages in oil galleries can occur in extreme cases of neglect. At least once a year draw fuel from the base of the tank by either the tank drain plug, if fitted, of by use of a siphon tube that reaches to the bottom of the tank. This will help in the removal of any water or debris that has collected in the bottom of the fuel tank. We would suggest a good few litres until the fuel is seen to be clean and clear. As a side note, there are regulations concerning the fitting of a tank drain valve. It must be of a type that cannot be accidentally opened and it must be fitted with a plug that cannot be removed without the use of tools. Additives are available that can decrease diesel fuels susceptibility to atmospheric contamination by water. Others are available to stop microbial growth occurring and that will lower the cloud point in winter to stop diesel waxing in low temperatures. Waxing is caused by dissolved solids coming out of solution at low temperatures. This is not a desirable property in the depths of winter especially if you rely on running your narrow boat engine for power generation or your heating is diesel fired. If you see evidence of clouding or gelling in the fuel, there is a potential microbial infestation. Liquid additives are available that will kill any microbes. Remember that the dead bugs will still cause problems. They, and all the associated debris, must be removed. Diesel engines were developed at the end of the 19th century as an alternative to steam engines and early spark combustion engines. Taking the inconveniences of using coal or wood to boil water for steam and electrical components to create a high power spark out of the equation, Rudolph Diesel patented an engine and fuel system that relied on high compression to initiate combustion. These simple, robust engines proved to be very reliable and efficient. An obvious market for a relatively small but powerful engine was as a replacement for the horse traditionally used to tow narrow boats. Diesel engines are particularly efficient when compared to petrol engines, especially when used under partial load, such as when ticking over whilst running alternators for the generation of on-board electricity. Diesel fuel can be produced from a number of sources. Traditionally diesel is produced from oil deposits formed over millions of years from the fossilised remains of organic matter. We know this as petro-diesel. A type of fuel suitable for burning in diesel engines can be synthetically produced from vegetable oils or animal fats. We know this as biodiesel. Very simply put, petro-diesel is a fossil fuel. Petro-diesel is the commonest form of diesel fuel. Produced as distillate from crude oil, early versions contained very high levels of sulphur, used for lubrication. During combustion, sulphur in the fuel is chemically changed to produce sulphur dioxide and sulphur trioxide which, when combined with atmospheric water, convert to sulphuric acid. This then falls as acid rain. Environmental pressures have encouraged fuel manufacturers to develop more environmentally friendly types of low sulphur diesel and greener alternatives such as what is known as biodiesel. It is important to realise that petro-diesel is what we use in our narrow boats. It is mandatory that narrowboat fuel is what is known as low sulphur and it is quite possible that there may be biofuel content. To understand what biofuel is, we have created a section below. Narrow boats and recreational craft are included in the NRMM (non-road mobile machinery) classification. The NRMM is a European Directive that has been adopted into UK law that deals with compliance to emissions regulations. NRMM is now subject to something called the RTFO (Renewable Transport Fuel Obligation). This Government Order places the onus on suppliers who supply more than 450,000 litres of fuel to be able to prove that a percentage of what they supply comes from renewable and sustainable sources. Bear with us here; it should all become clear why this is important and what the potential implications are. 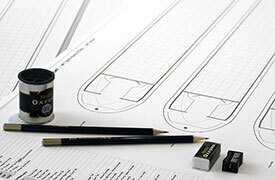 Narrowboats and recreational craft as above operate in what the Coast Guard Agency defines as Categorised Waters. Back in 2011, another EU Directive mandated that fuel supplied for craft operating in certain Categorised Waters has to be low/non sulphur. Most narrow boats will operate in what are known as Category A and Category B waters and are therefore subject to the low sulphur content regulations. To summarise, narrowboats operating on canals, rivers and estuaries are bound by legislation to use low sulphur products and these fuels may or may not contain biofuel. Diesel Today… What Is Bio-Fuel? We’ll start here by stating that it is quite possible that we have been using diesel that has had a small percentage of biofuel added for many years! We’ll also point out that true “marine diesel” (that we cannot legally use in our narrow boats due to its high sulphur emissions) can also suffer from problems arising from poor fuel management. Therefore it is not fair to blame all our ills on new environmental legislation. Very simply put, biofuel is produced from recently living material. Biodiesel is a form of biofuel that is suitable for burning in a diesel engine. Below, we take a look at biodiesel and attempt to unravel the characteristics that can cause us issues in our narrowboat fuel tanks and engines. Biodiesel is fatty-acid methyl ester or FAME. Biodiesel can be used in engines in its pure form but it is most commonly used as an additive in petro-diesel. Biodiesel is manufactured by a chemical process that converts vegetable oils or animal fats into fuel stock. When biodiesel/FAME is burnt the emissions of sulphur compounds and carbon monoxide are dramatically reduced. Additional benefits include reduced emissions of potentially carcinogenic compounds and a reduction in the amount of particulate matter. However, it’s not all good news with biodiesel. Methanol is used in biodiesel/FAME production and water and glycerine are by-products and must be removed before the fuel can be used. As a result, water is naturally present in the fuel. Additionally, biodiesel is hygroscopic i.e. it absorbs water vapour from the atmosphere. It is the presence of water, whether naturally or introduced, that causes most of the issues. Microbiological growth occurs in the presence of water and some of the components of what we know as Diesel Bug form as a result of this microbiological action. Chemical compounds, present in the synthesised biodiesel/FAME as solid particles, can group together whilst the fuel is in storage. If complex groups of these particles form the result can also cause blockages in filters. As we said, methanol is used in the production process and residue contained in the fuel is corrosive to any aluminum that may be present in fuel injection equipment. In general the presence of fatty acid methyl esters can cause some seals made of nitrile rubber to soften, swell harden and crack resulting in fuel leakage. In order to attempt to negate many of the undesirable qualities of FAME, it is usually blended with petro-diesel. 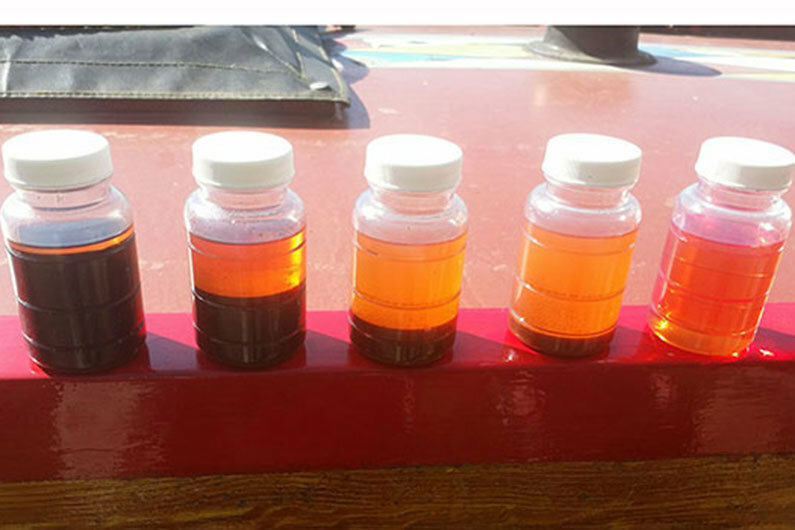 A classification has been developed to allow user to distinguish between different blends with B100 denoting 100% biodiesel, B20 for 20% biodiesel, B7 for 7%, B5 for 5% biodiesel/petro-diesel and so on. Biodiesel/FAME is not recommended for use in narrowboats for either propulsion or heating. The nature of our past-time means that, generally, diesel is allowed to stand in storage in our fuel tanks for extended periods of the year. Condensation will inevitably form on the inside of fuel tanks adding to the issues associated with water in the fuel, especially if that fuel is naturally high in water and hygroscopic. Standing biodiesel fuel in fuel lines, pumps and injectors can also lead to corrosion and degradation of metal and rubber components as stated above. Many boat yards will advertise their diesel as FAME free and these are an obvious choice for filling your tanks. Fuel suppliers over a certain volume are obliged to supply a percentage of renewables into the supply chain. Our preferred standard of fuel, BS EN 2869:2010 Class A2, allows for the inclusion of up to 7% biodiesel/FAME. So how do we really know what we’re using when the suppliers to our yards are legislated to supply renewables and are allowed to include them in the fuel stock we have to use? We can ask our yards to supply only FAME free fuel, and they might think they are. The small print on the fuels’ technical data sheet may say otherwise. Be aware if you are purchasing a new narrowboat engine that many engine manufacturers do not provide a warranty if their engines are run on fuel containing more than a small percentage of bio-diesel, or if they are altered in any way. Although many engines will run on bio-diesel it can cause corrosion of the seals and hoses in the fuel system which would be costly to repair. Finally, in its pure form biodiesel/FAME has a relatively high viscosity and is hard to pump. This can lead to problems with injector systems. To cap it all the fuel is unstable. This instability leads to faster degradation in storage and end use.